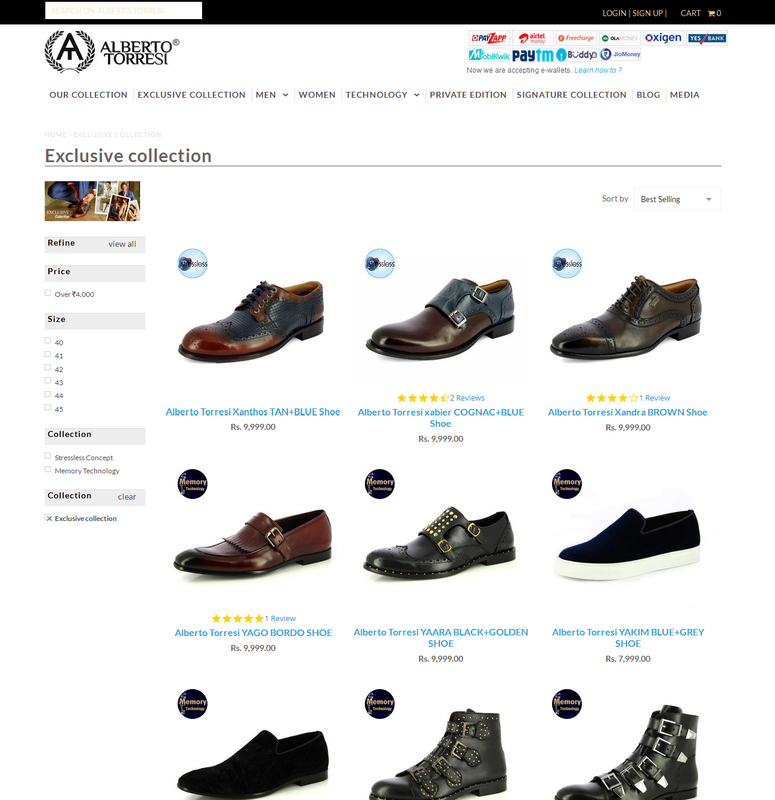 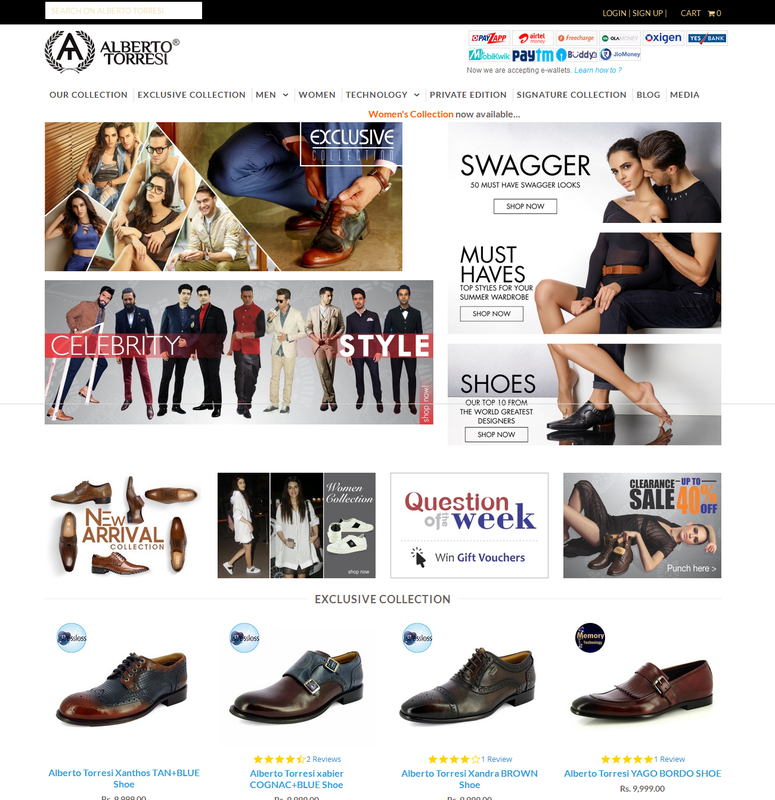 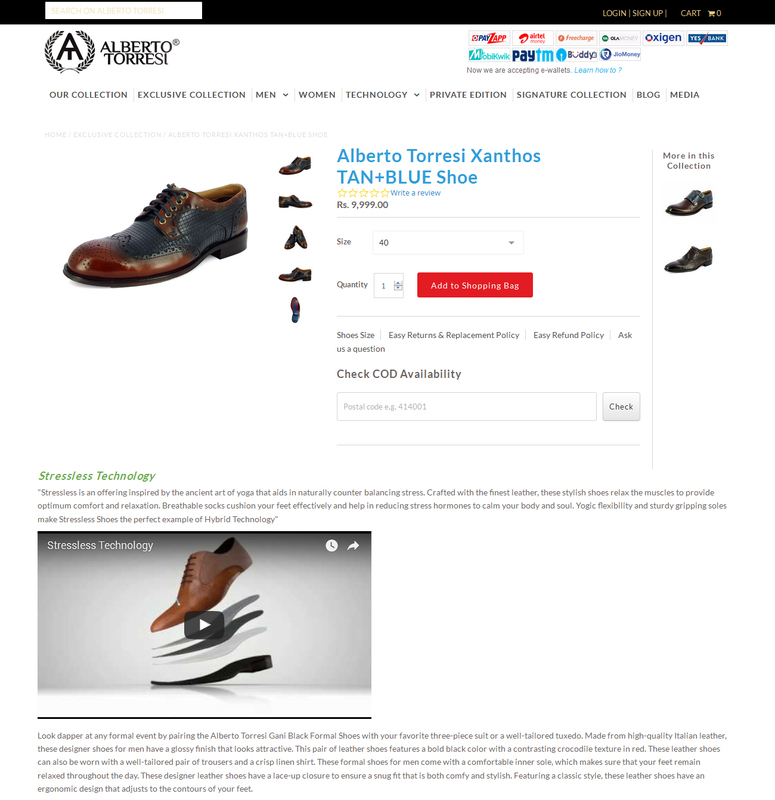 Alberto Torresi is an E-commerce website, lets you choose the best deal for your Footwear.Sell as many as brands as you grow. 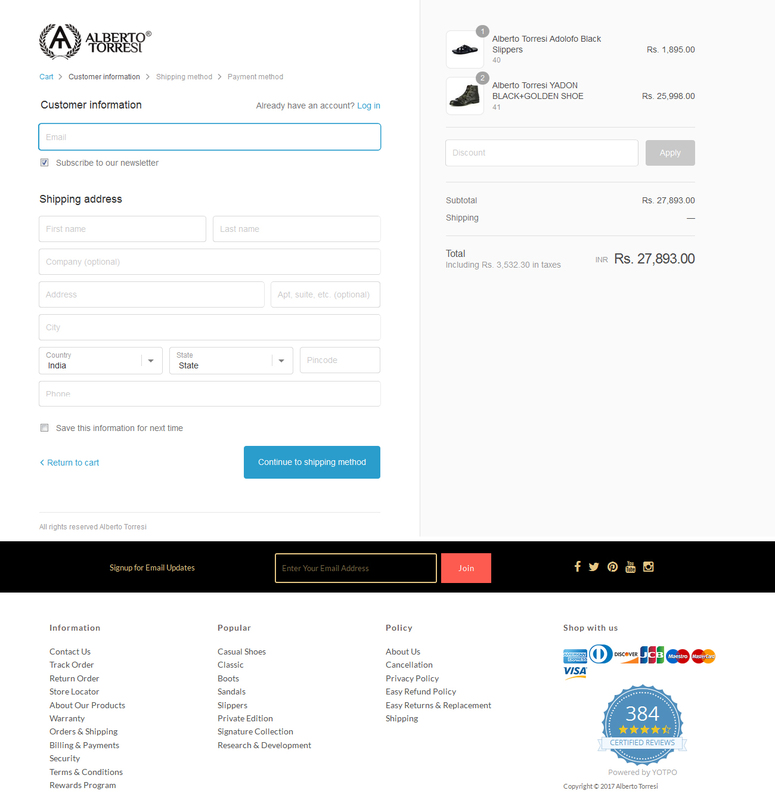 Save items in the Cart.Check things before you move to pay.Integrated Payment Gateway to buy things that are in your desire box.With Login and Sign Up features. 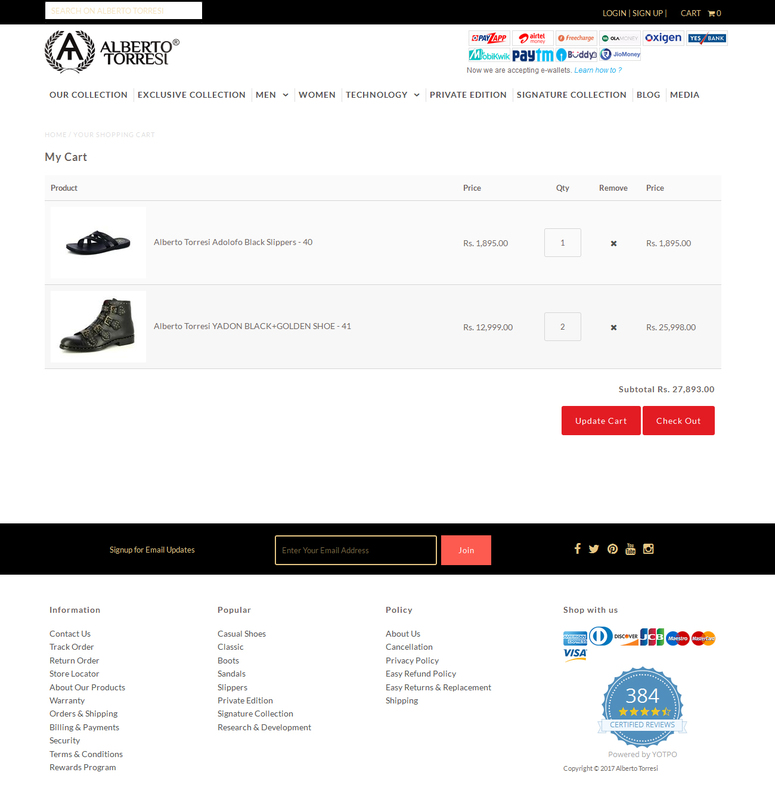 LIVE On-line chat with Support Executives.